The PKI Gas Mask and its straps are produced in black and yellow silicone. The screen provides a large vision angle and can be adjusted with anti-solvent or anti-scratch treatment on request. The system is shock- and solvent-resistant and equipped with two breathe out valves. One breathe-in valve and one phonic membrane allow easy communication. The specifically designed air circulation avoids steaming up of the screen. 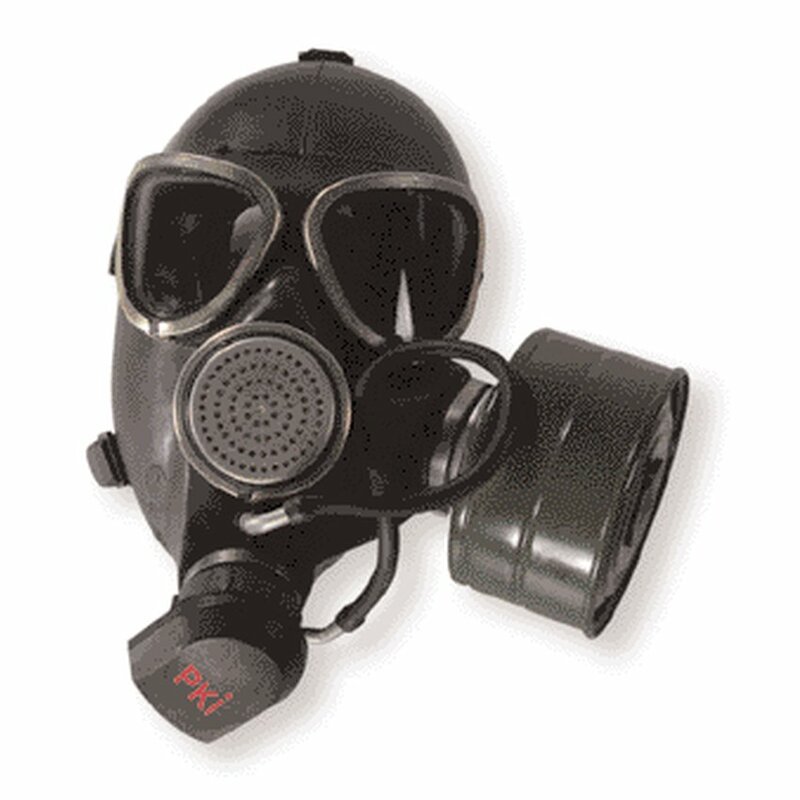 The PKI 9170 Gas Mask is equipped with straps for rapid fastening. It can be used with assisted ventilation or with compressed air adduction. It must not be used in atmospheres where the concentration exceeds 0,5% or where the oxygen rate is less than 17%. Different cartridges are available upon request for example for dust, different types of gas or combined gas/dust. The cartridges are equipped with caps in order to increase their lifetime, as they keep them sealed when not used. A case designed in a specific thermoplastic material increases the mask’s lifetime, as it protects against dust, light, vapours of chemical agents and heat sources. This case can contain one mask and one cartridge of any type, not screwed.